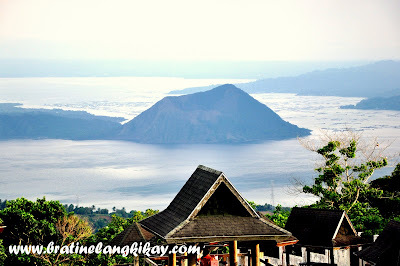 When I asked The Hubby to drive us to Tagaytay, approximately 2 hours from Manila, after our visit to the pedia, he snorted, "What are we going to do there?". And I understand his hesitation. We've been there more frequent that we've been to Luneta and have explored its every nooks and turns. 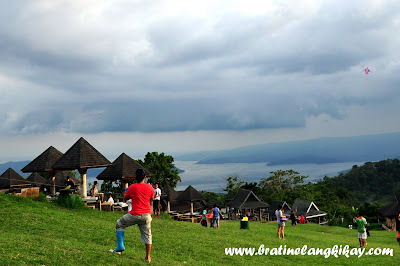 Despite The Hubby's reluctance, we went to Picnic Grove with no particular plan but just to take the kids to a weekend date. We've been there a couple of times and we know already what to expect - horseback riding, the zip line adventure (that we didn't try) and the view of Taal Volcano. We reckon just the breathe of fresh air is worth the trip already. That's what we thought until we spotted this huge area where families are enjoying the day flying kites. 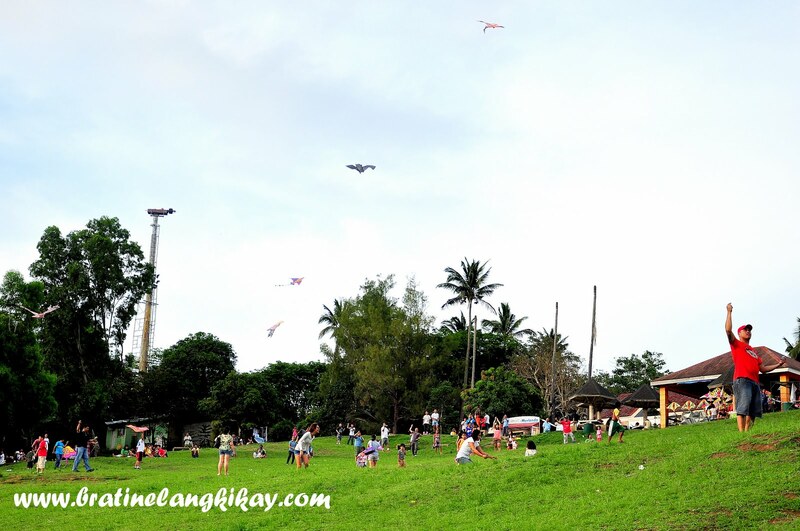 The scene of kids and adults maneuvering their make-believe planes enticed us to buy our kite and try it too. Who wouldn't be seduced by this beautiful backdrop? Taal Volcano, the world's smallest, has been photographed thousands of times and yet every picture seems to speak a different story each time. I bet most of the families who were at the park that day didn't plan to fly kites too. 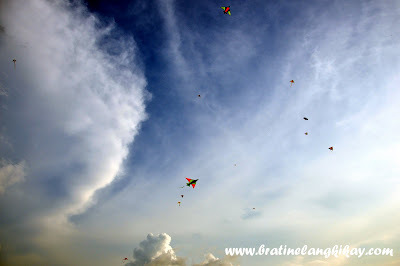 I could tell by the similarities of the kites we were all flying. Same designs, different sizes. But who cares, everyone was having fun, tons of it in fact. 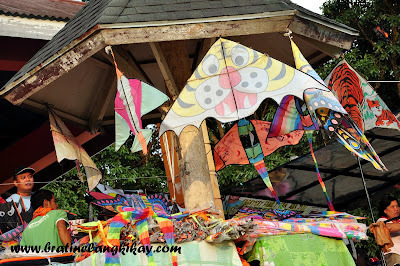 There was only 1 vendor at the 'flying field', and despite having no competition, his kites were affordable. The smallest one sells for Php100, the medium at Php150 and largest at Php200. We took only the smallest, which is just the right size for Eone (and for me). The vendor was kind enough to launch our kite and handed it to us when it's already up, up, and away! 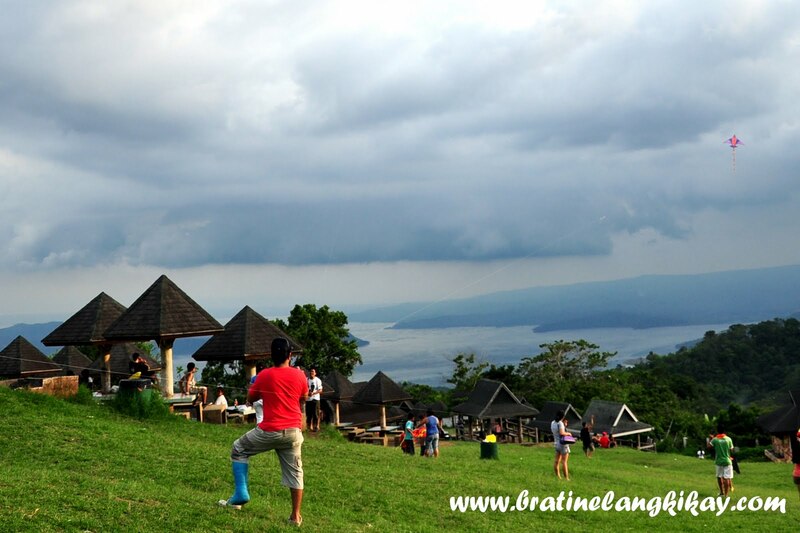 Here's putting the soft breeze of Tagaytay into good use. 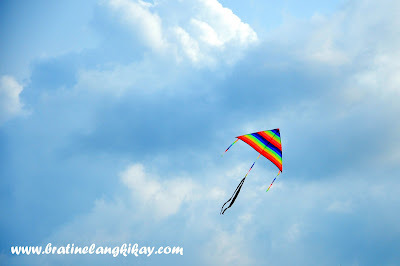 Like birds, kites of all shapes and sizes soar up in the sky. They seem to dance against the wind and I could feel the tension of the string as our kite is swept up even more. After fighting with the wind for a good five minutes, our line broke and we watched our kite slowly descend until it landed in a nearby bushy area. Good thing we were able to retrieve it otherwise I'd have to shell out another hundred bucks for its replacement. Actually our string got tangled with another flyer's - a tandem of father and son who both doesn't know how to fly too. The dad has a cast on his leg but that didn't stop him from taking the activity with his son. 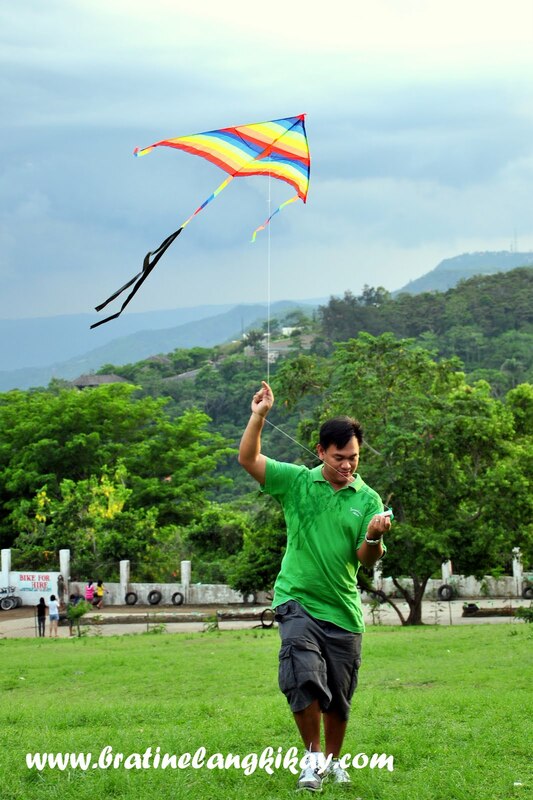 Maybe he really likes kites too. But for my little boy, he didn't seem to notice what flies above. He was focused more on what's down below and had a grand time exploring the field, practicing his walking skills (or should I say running?). 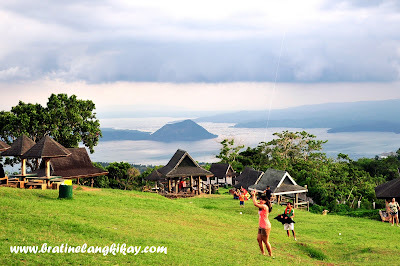 If you think you've ran out of activities to do or reasons to drive up to Tagaytay, then flying kites at Picnic Grove may change your mind. 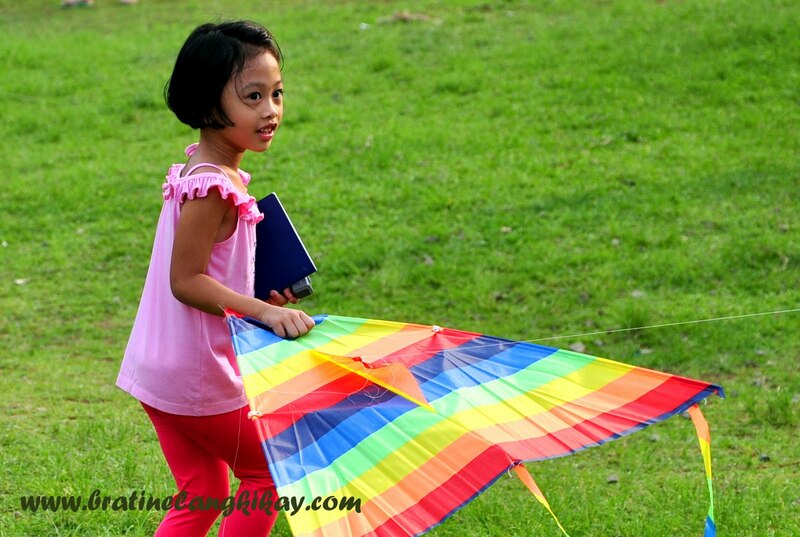 It's an inexpensive way to enjoy the day and a great form of bonding for the family. 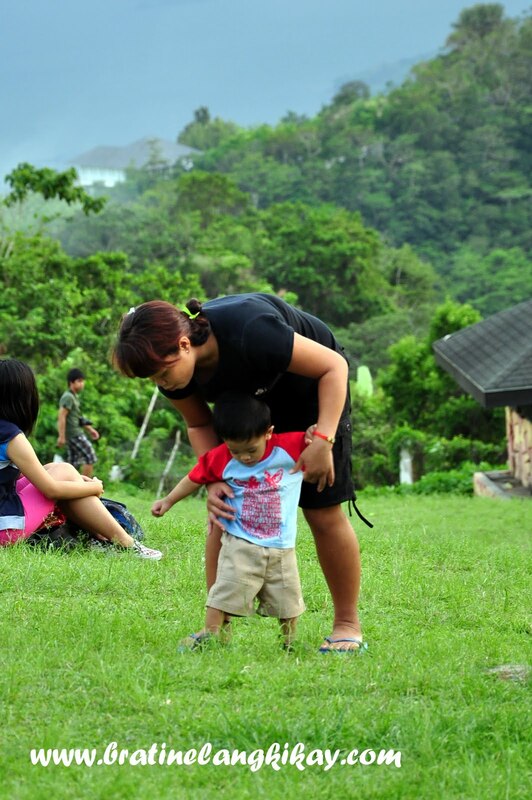 Entrance fee at Picnic Grove is Php50 per adult and children above 4 years old. Vehicles are also charged a minimum of Php35 (depending on the size) for parking.